Finishing up one level of mandate before going to another level of mandate is prudent, saves time, saves energy and money. Finishing the necessary portions of the first floor before beginning the second floor typically prevents the second floor from collapsing the whole house. Finishing one battle before taking on another one carries obvious advantages. Marty Gabler will be giving the 2018 Declarations at Grace International Church on Sunday 12-31-17 at 10:00am. 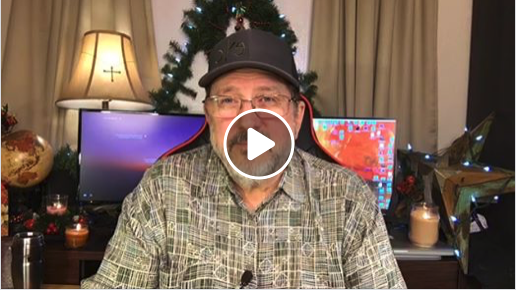 This entry was posted on December 29, 2017 by Marty Gabler. It was filed under Uncategorized and was tagged with 1 Thessalonians 4:17, 2018, anticipation, Apostle, Barbara Yoder, Bethel Church, Bible, Bill Johnson, Body of Christ, celebrate, CFNI, charismatic, Chuck Pierce, church, Cindy Jacobs, circumstances, comfort, Daily Discovery, Damon Thompson, destiny, dreams, Dutch Sheets, elderly, encouragement, ending well, expectation, faith, father, finishing, Five-Fold, FMCI, future, gifts of the Spirit, god speaks, grace, Haggin, happy, healing, Holy Spirit, hope, Identity, intercession, Isaiah 9:7, Israel, Jentezen Franklin, Jeremiah 29:11, Jesus, Jim Goll, Jim Hodges, John 3:16, John Eckhart, John Kelly, Joseph Prince, Joyce Meyer, Kathy Gabler, Kim Clement, Kingdom of God, Lakewood, Lance Wallnau, life, Lindsey, manifestation, Marty Gabler, Matthew 6:10, Matthew 6:33, Melissa Gabler, Myles Munroe, New Year, obstacles, ORU, Osteen, power of god, prayer, problems, prophecy, prophesy, prophet, prophetic, prosperity, purpose, Redding, rejoice, Rick Joyner, Rick Pino, righteousness, salvation, Savior, SEEC Ministries, sons of God, spiritual warfare, starting, success, TD Jakes, Texas, Tony Evans, victorious, victory, visions, Will of God, wisdom, word of god.